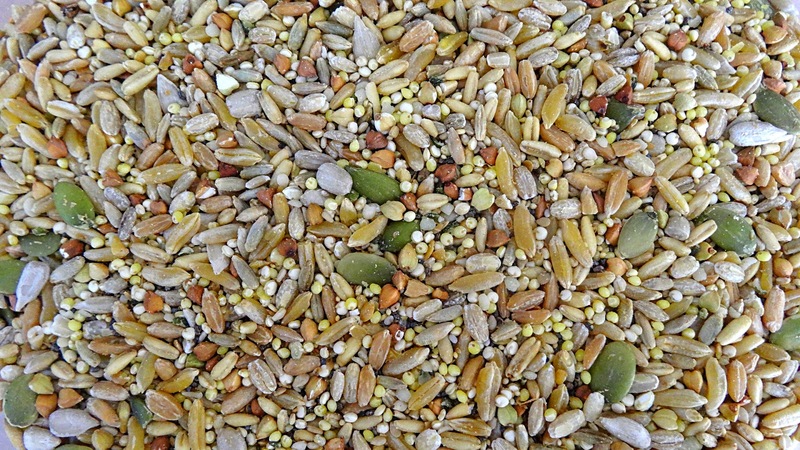 A few years ago, my aunt created this "Birdseed" Hot Cereal or "Daniel's Pulse" (taken from the Bible story of Daniel and the King's food, in Daniel ch. 1). Anyway, my aunt was reading about the health benefits of a number of different grains and after reading this scripture, she decided to combine all these grains to make a hot cereal. I love this cereal. It's a great quick breakfast in the morning, that is substantial and leaves you feeling full. I often make a little extra and knead the leftover cooked cereal into my whole wheat bread for some seriously good seedy-bread. 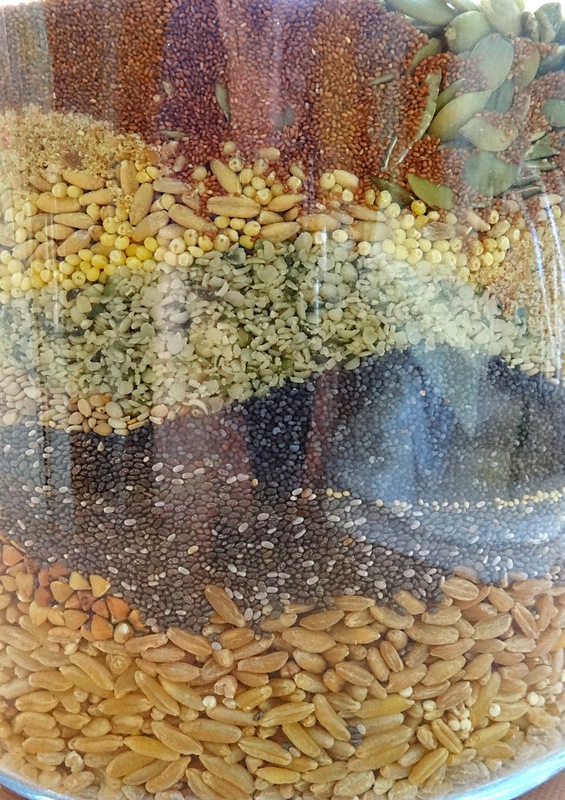 Combine all ingredients in a large storage container. Mix thoroughly. 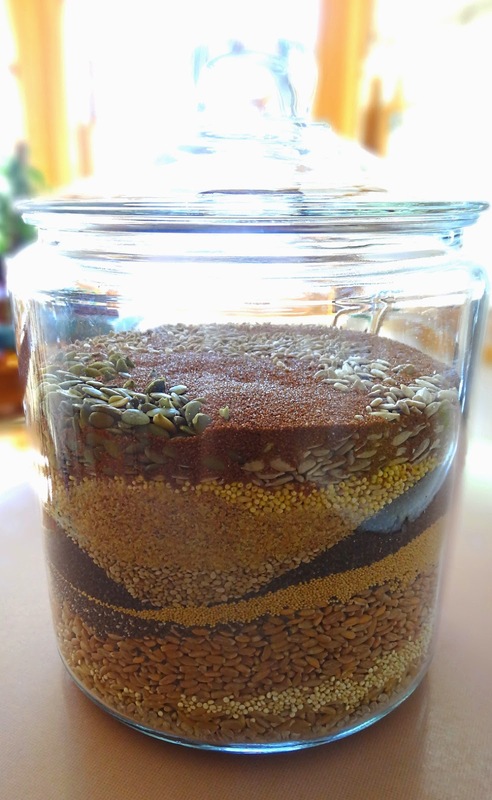 To prepare: Combine ¼ c. birdseed with ¾ c. water in a small saucepan. Bring to a boil, cover and let soak overnight. Reheat in the morning, stirring in any additions (a few drops of almond extract, cinnamon, chopped nuts, dried or fresh fruit, honey/maple syrup, brown sugar, or any other toppings you can think of).